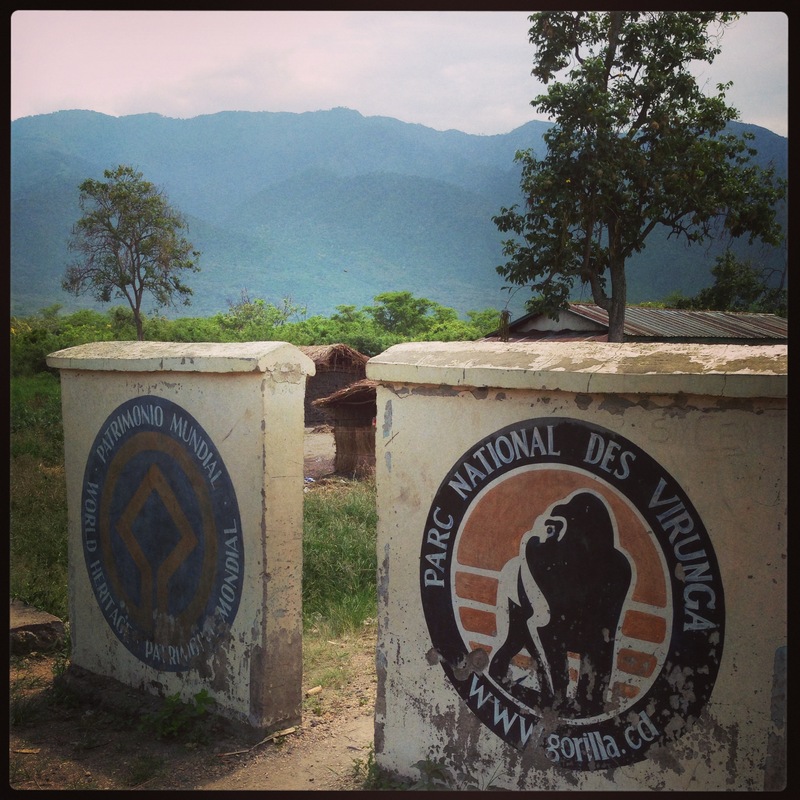 What is Happening in Virunga and with the Communities? The Virunga National Park (French: Parc National des Virunga), formerly named Albert National Park, is a 7800 square km National Park that stretches from the Virunga Mountains in the South, to the Rwenzori Mountains in the North, in the eastern Democratic Republic of Congo, bordering Volcanoes National Park in Rwanda and Rwenzori Mountains National Park and Queen Elisabeth National Park in Uganda. The park was established in 1925 as Africa’s first national park. It was classified as a World Heritage Site in 1979. In recent years the park has become known for its mountain gorillas, although poaching and the Congo Civil War have seriously damaged its wildlife population. The history of the park is deeply affected by the country of which it is part. For much of its long history, Virunga National Park has struggled to survive through many of Congo’s troubled times. Thanks to the dedication of certain politicians, conservationists, park rangers and wardens, the park not only has survived, but is currently experiencing a dramatic renewal. International donors are investing in the development of the park’s infrastructure at unprecedented levels. Virunga’s management is efficient and transparent, and morale among the rangers is at an all time high. Africa’s first national park has managed to preserve its species diversity and its population of mountain gorillas have more than doubled in numbers since the late 1980s largely because of the dedication of the rangers and staff, despite exceptionally difficult conditions. Over 140 of Virunga’s rangers have lost their lives protecting the park since the beginning of the war in 1996. Virunga National Park is unrivalled in its diversity of landscapes and ecosystems. If you want to know more about the 18-year key events that have undermined conservation efforts in Africa’s oldest national park check National Geographic’s interactive time-Line. The park’s future is threatened: oil has been discovered, and the Congolese government has awarded three concessions for oil exploration, which cover 85% of the park. Oil becomes the most important threat to the park and to the ecosystem. If you want to read more about the last development around SOCO and the oil exploration threat in Virunga check Emiliy Lora James’ article. Lake Edward or Edward Nyanza is the smallest of the African Great Lakes. It is located in the Albertine Rift, the western branch of the East African Rift, on the border between the Democratic Republic of the Congo and Uganda. The lake was named by the explorer Henry Morton Stanley in honour of Prince Albert Edward, The Prince of Wales, later to become King Edward VII. Lake Edward lies completely within the Virunga National Park (Congo) and the Queen Elizabeth National Park (Uganda) and does not have extensive human habitation on its shores, except at Ishango (DRC) in the north, home to a park ranger training facility. About two-thirds of its waters are in the DR Congo and one third in Uganda. Apart from Ishango, the main Congolese settlement in the south is Vitshumbi. SOCO International plc is an international oil and gas exploration and production company, headquartered in London. SOCO holds rights on the oil concession in BLOCK V (in July 2012 SOCO increased its stake to 85%). “SOCO’s contract allows them access to 1,500 square miles of Virunga National Park (National Geographic), threatening the park with disruptive seismic tests, forest clearing, underground drilling and the laying of vulnerable oil pipelines. Additionally, the extraction of oil from Virunga will cause a large influx of people to the park which will also be detrimental to the environment, although will provide jobs. SOCO is currently undertaking a seismic study to determine whether there are oil supplies beneath Lake Edward. The international mining corporation has received floods of criticism from local and international conservationists, WWF, human rights groups and the British government. UNESCO who listed Virunga National Park as a World Heritage Site in 1979 has stated that oil exploration in the park violates the Democratic Republic of the Congo’s commitments to the World Heritage Convention and has called for the cancellation of all oil permits inside the park. Virunga’s fauna and flora, as well as the political and security situation in the area are tied closely to the people and to the protection and preservation of this ecosystem. Disruptions in one element lead automatically to changes in the others. The existence of a national park creates a particular sort of stability in the fishing villages and in the way they live in harmony with the park environment. Lake Edward lies completely within the Virunga National Park and has three main fishing villages. The three legal fisheries are: VITSHUMBI on the Southern shores, NYAKAKOMA on the South Eastern shores and KYAVINYONGE on the Northern shores of the lake. All these fisher’s villages account for a population of approximately 50.000 habitants. The rest of the fisheries and sites around the lake are illegal, but still provide resources and contribute directly to food security for +/- 15.000 people. In order to ensure sustainable management of the park’s resources and preserve the functions of this ecosystem for future generations, local communities need to be at the forefront of decision making. Oil exploration forms not only a serious threat to the oldest and most precious nature reserve in Africa but also to the survival of more than 50.000 people that depend on the park and its lake for their livelihoods. Virunga National Park in DR Congo is at a crossroads: should the Congolese people choose to invest in sustainable development, or in oil exploration? On the other hand, the Congolese fear that oil exploration will not contribute to the local economy. In the above video, local people express their concerns to the Congolese government, which will discuss the status of the oil bill in the coming weeks. Since the beginning of SOCO’s exploration operations in Virunga National Park, Environmental and Human Rights defenders fighting for the survival of the park and the respect of community rights have been target of intimidation and threats.Many local defenders and community leaders have been alerting the world of the dangers community members and themselves are facing when fighting for Virunga and the sustainable development option. They are often putting their lives, their staff and their organizations at risk, with little recognition or support. Check here a recollection of all these voices and messages alerting the world of what is happening on the ground. If you want to help us keep these voices alive and local communities abreast of and involved in the decision making process around oil exploration in North Kivu. What is happening in Queen Elizabeth National Park – is it oil drilling? What is happening in Queen Elizabeth Park – is it oil drilling? How extensive is it? Such a shame to ruin such a beautiful and iconic park!